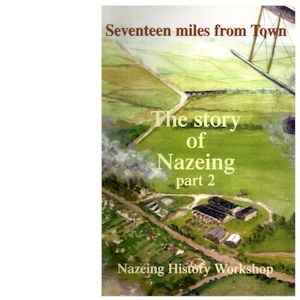 The title of this second volume reflects the fact that improvements in transport and other services meant that Nazeing was no longer a "purely agricultural parish" but a "mature commuter area". This volume covers the twentieth century, including the dummy airfield built on Nazeingwood Common during World War 2, complete with plywood Hurricanes. It was designed to attract German bombers away from nearby North Weald, but also fooled one RAF Wellington which, running short of fuel, landed there one night! The book is full of stories, facts, pictures and maps which, although aimed at those with a particular interest in the village, will also interest the general reader and specialist historian.